I need to remind myself of that from time to time. And I need to remind myself to write (more) things down and to keep a (better) calendar. And to say no sometimes. Simply that. No. I’m grinding out a project for someone I should have 1) passed on and 2) finished weeks ago. I feel like a jerk for delaying it; there was no sense of urgency conveyed initially. And when there was, I was swamped and had an unrelated case of the feelings. And I like the project. And I’ll be proud of it when it’s done. But I don’t want to DO it right now. And, since I said yes (I guess I meant yes at the time), I’m doing it. But I’m stashing it in my brain to remind myself that, in the future, I’m allowed to say no. And I should sometimes. 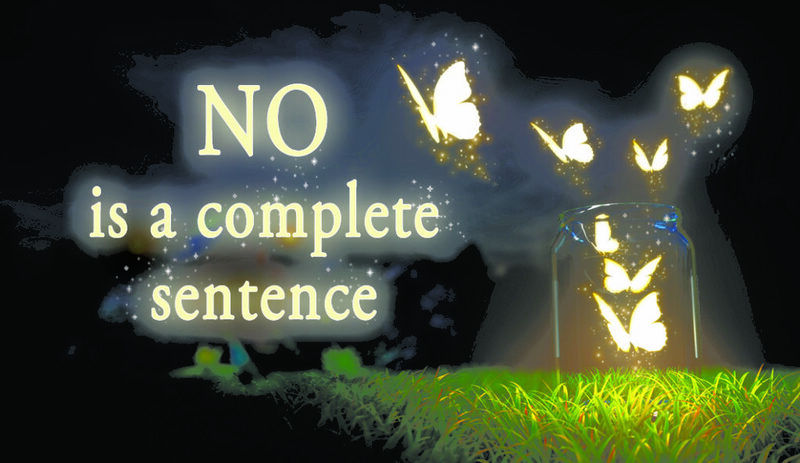 No is a complete sentence. Especially now that I’m freelancing and my time is, literally, money. The issue is I want to do all the things. But I can’t. And when I’m overwhelmed I beat myself up and then I’m not productive and not happy and start to doubt and wonder if people are pissed and … just no. I have a sister-friend who I adore. She’s 15 years younger than me and we’ve taught each other a lot in the year since we became friends amidst turmoil in Manhattan. She freelances and I constantly remind her she’s allowed to say no. Tell her she should say no. So, worse than sitting here now, finishing a project for someone when I should be sleeping or reading a book? I’ve modeled less than stellar self care. Damnit. No. Do as I do, right, Moe? I am allowed to say no.